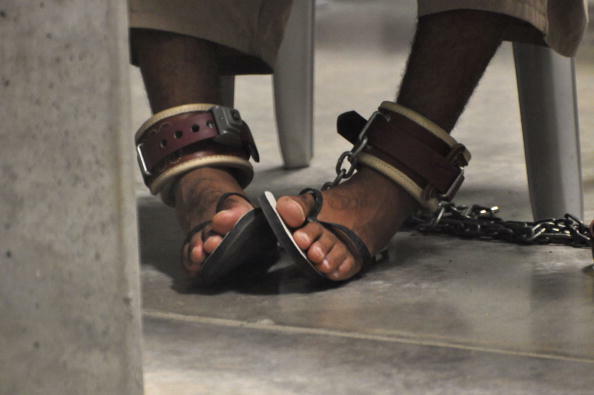 As U.S. detentions at Guantánamo enter their 13th year, we need to take President Obama and Congress to task for their delay in closing the detention facility. It’s been twelve years too many. The time for action is now. President Obama must transfer cleared detainees, including Shaker Aamer. There are no excuses, especially now that he has greater flexibility from Congress to do just that. 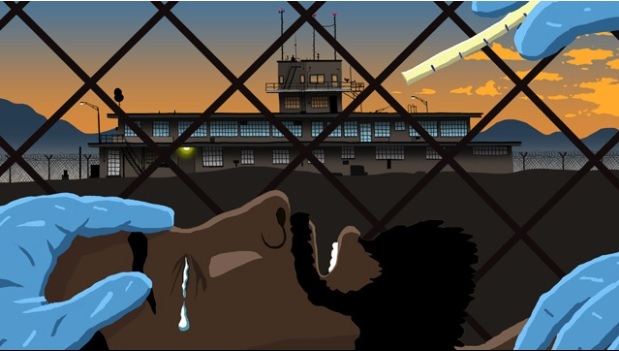 The folks over at The Guardian released this creative animated video today based on the testimony of Guantanamo detainees who have been cleared for transfer out of the detention facility but are still held. 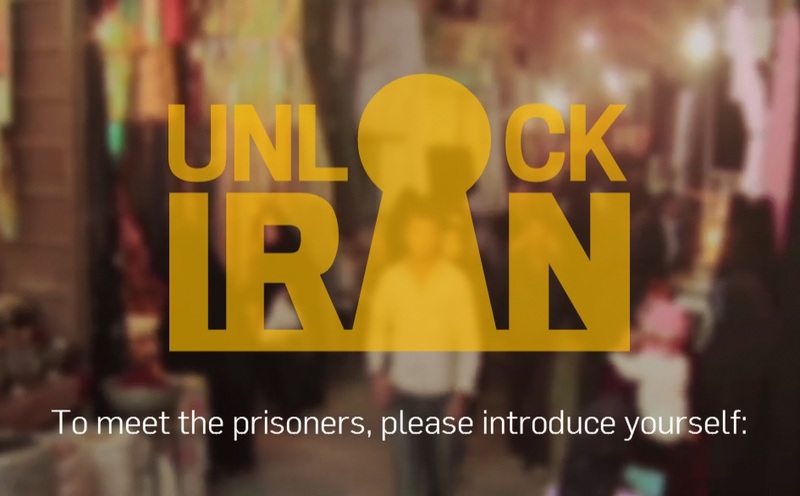 Shaker Aamer is one of the people featured in the video. He has been detained for over 11 years without charge, despite being cleared to leave and despite UK Prime Minister David Cameron personally asking President Obama to return him to the UK. You can read Cameron’s letter to Amnesty International here. A watch tower at Camp X-Ray, which was the first detention facility to hold ‘enemy combatants’ at the U.S. 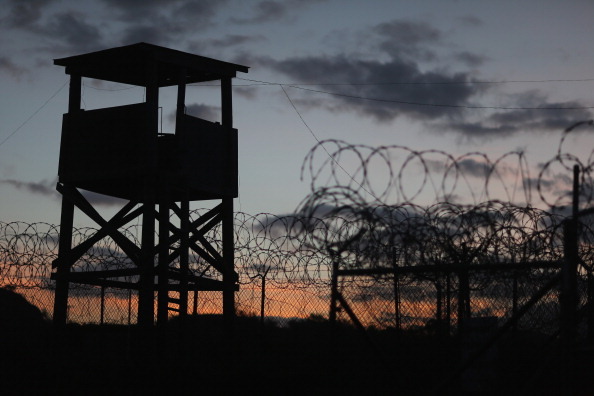 Naval Station in Guantanamo Bay, Cuba (Photo Credit: Joe Raedle/Getty Images). From Afghanistan to Guantánamo Bay and now the outskirts of Edmonton. Who would have thought that human rights campaigning that began with a short news report that a 15-year-old Canadian had been arrested by U.S. forces on the battlefield in Afghanistan in the summer of 2002 and continued through a decade of activism, media interviews and legal work while that same young Canadian endured the lawlessness and injustices of Guantánamo Bay; would now bring me to a maximum security prison outside Edmonton? But that is where, after eleven years of working on his case, I recently traveled to meet and spend some time with Omar Khadr. In advance of the International Day of the Disappeared on August 30th, we have the following feature on Augusto Pinochet’s regime. Roger Plant joined Amnesty International in 1972 to cover the organization’s work on Latin America. A few months after Pinochet took power by force, he went to Chile to document the arbitrary detentions, torture and disappearances. The result was a groundbreaking report that helped shine a light on the reality of life in the Latin-American country. 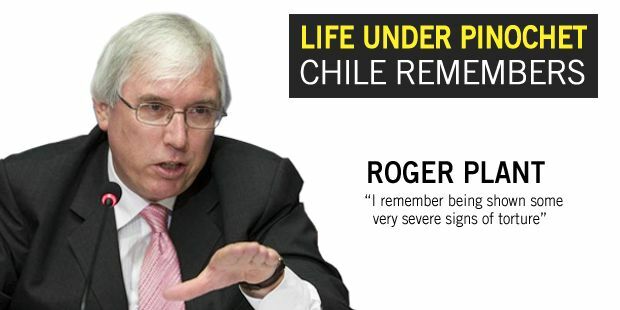 As a young researcher, Roger Plant had only been working for Amnesty International for less than a year when Augusto Pinochet launched his coup d’état in 1973. With his feet barely under the desk, it was a baptism of fire – a seminal moment that would eventually define his career. 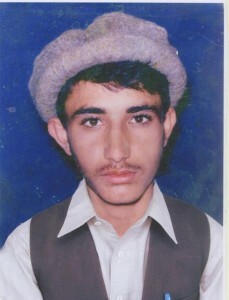 Obaidullah, from Afghanistan, has been in U.S. military custody since July 2002 (Photo Credit: Private). You are 19-years-old, asleep in your family home in a remote rural village. In the middle of the night, foreign soldiers burst in. They put a hood over your head and force you to sit against a wall. You are terrified. After a few hours, bound hand and foot and still hooded, you are taken to a military base. There you are physically assaulted, interrogated, threatened with a knife and deprived of sleep and food. You fear you will be killed. After what you think is about 48 hours – your disorientation makes it difficult to know for sure – you are bundled, still hooded and shackled, into a helicopter and flown to another, larger military facility. There the interrogations and abuse continue. Three months later, you are taken from your cell, your head is shaved, you are put into shackles and blacked-out goggles, and you and some others are thrown into a transport plane and tied down like cargo. 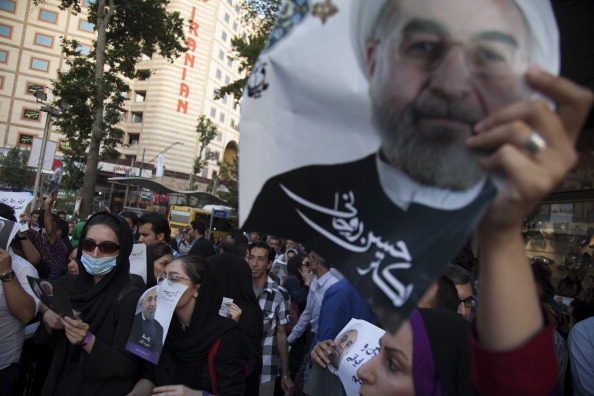 People hold campaign posters of Iranian presidential candidate, Hassan Rowhani in the streets during a presidential election rally on June 11, 2013 in Tehran, Iran (Photo Credit: Majid Saeedi/Getty Images). Iran’s challenges are not few, from job creation and stopping inflation to improving foreign relations. Most presidential candidates in 2013 ran on such platforms. 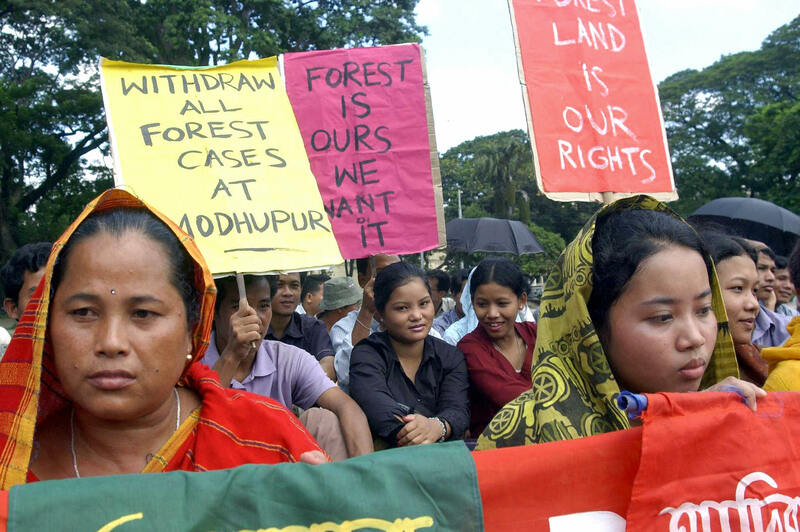 However, there was a key issue that was not directly addressed in their political vernacular: human rights. While many jubilant Iranians and a hopeful international community are touting president-elect Hassan Rouhani as a reformist because of his promise to ease restrictions at home, free political prisoners, and to offer more transparency for Iran’s controversial nuclear program, it should not be ignored that he remains, nevertheless, among those select few candidates approved to run by Iran’s Guardian Council. “…there is still a length of heavy chain bolted to the floor in front of each of their seats should it be deemed necessary. 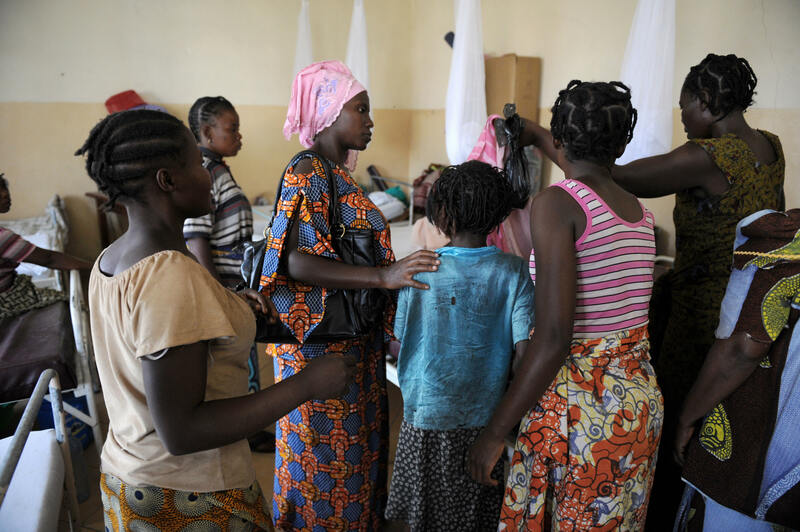 They are not in prison uniform, they all wear white clothing, with turbans or headscarves…” (Photo Credit: Michelle Shephard-Pool/Getty Images). In the military commission court – a prefabricated industrial building on a decommissioned airfield surrounded by razor wire – we observers sit behind four layers of soundproof glass, watching proceedings via a 40-second delay. The delay allows the court to cut audio to the gallery, in case someone lets slip any classified information. But even 40 seconds late, the tension is clear between secrecy and the open examination of evidence that marks a fair trial. The five 9/11 defendants – Yemeni nationals Walid bin Attash and Ramzi bin al-Shibh, Saudi Arabian Mustafa Ahmed al Hawsawi, and Pakistani nationals Khalid Sheikh Mohammed and Ammar al Baluchi (Ali Abdul-Aziz Ali) – have been in the court three of four days this week. None seem to be taking part in the ongoing hunger strike.